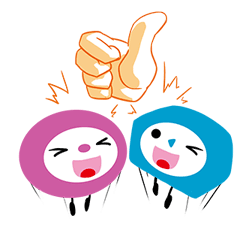 http://www.line-stickers.com/ – SOSOON Family Line Sticker | Hello friends! Come join these two cuties from the SOSOON family! Friend SOSOON’s official account to get the set FREE. Available till Aug. 31, 2014. Copyright : Copyright © uitox Corporation or its affiliates. AMOʹs STYLE What kind of Hello are you today? Gujju Gappabazi What Happened to Niuer?